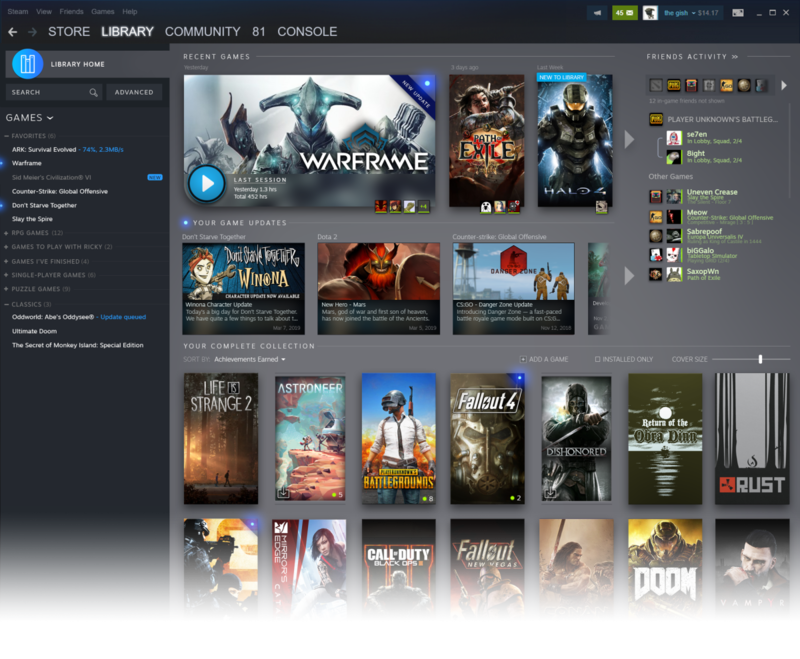 "The biggest thing we're introducing is the Steam library homepage, "said Valve's Alden Kroll. "This is an opportunity for players to see what else is happening in the games that I play?" "
Valve didn't announce a release date for the new library view, but it was about emailing that it's aiming for a beta release this summer. The newest news follows the recent launch of Steam Link Anywhere for on-the-go streaming and Valve opening up the Steam network infrastructure it uses for CS: GO and Dota to all games on the platform. As part of its talk on Thursday, the company also showed off a new page on Steam for promoting in-game events. Read more about it here.